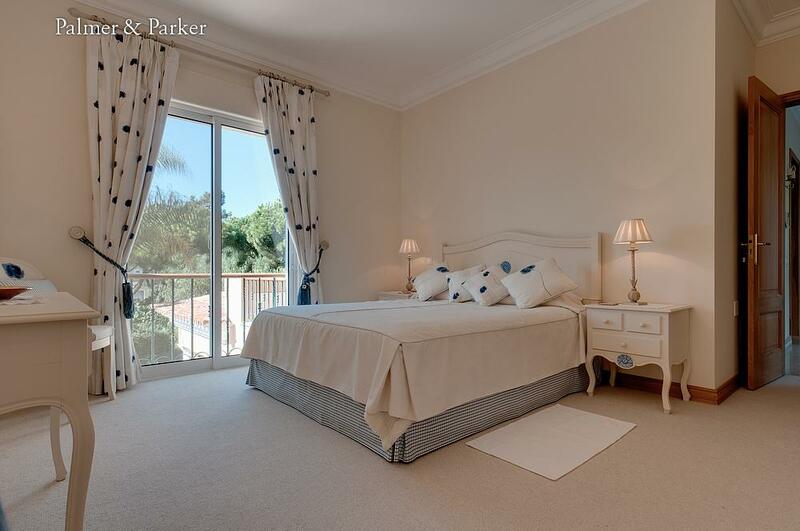 Situated in a quiet spot in the Noroeste section of Quinta do Lago, Leira overlooks the golf course and is less than 10 minutes’ walk from the shops, restaurants and night club at Quinta Shopping. It is 5 minutes’ walk from the Active Q Gym and Pure Boutique Café, which serves breakfast and lunch on its terrace as well as offering a take away service. 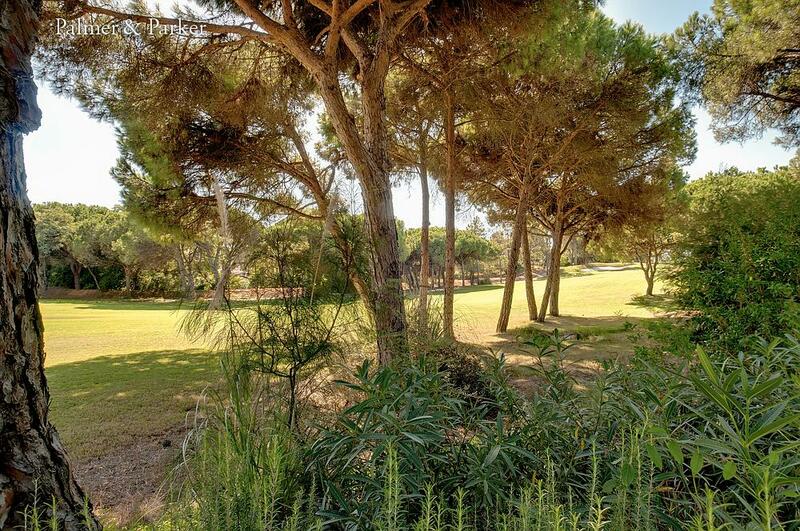 The golf club house, the bridge crossing to the beach, the lake with its pedalos and sailboard school, and the tennis courts are all within a couple of minutes' drive. 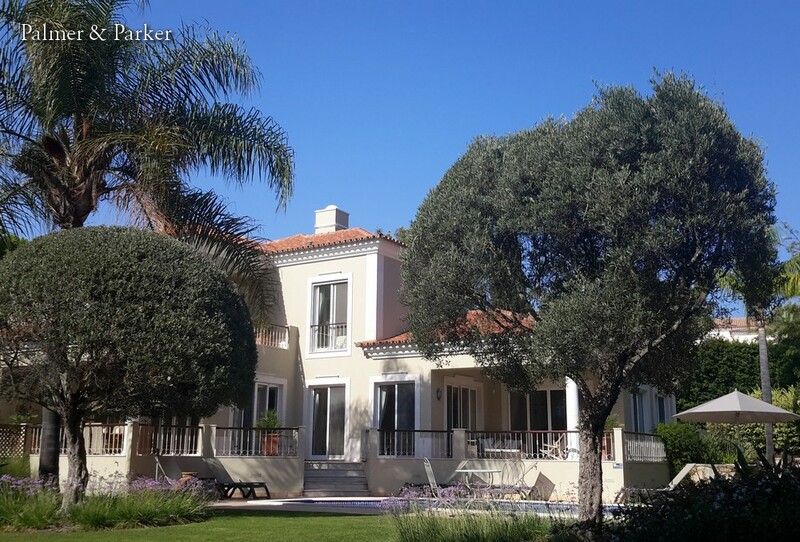 It is very well furnished with excellent equipment including air conditioning, cable TV (with many UK and satellite channels), wireless internet, full-sized snooker table, table tennis, and gas barbecue, and it offers lovely views over the golf course. The garden is well planted and maintained. 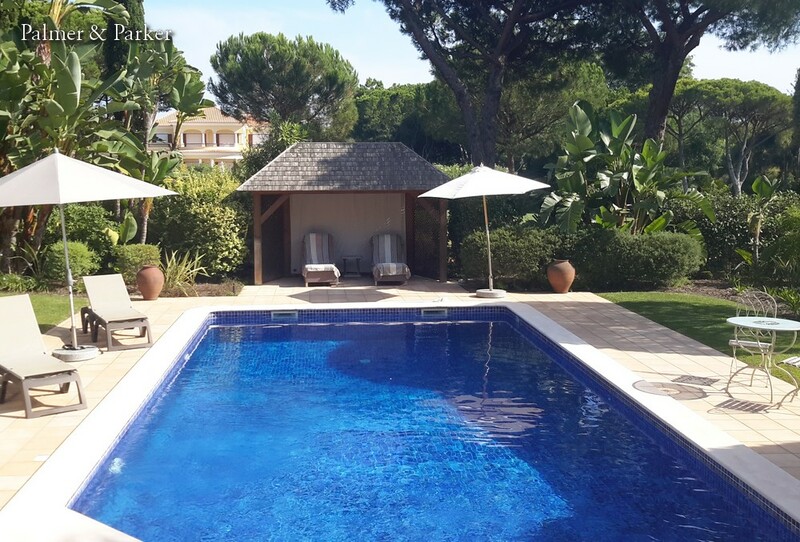 The pool is large at 10m x 5m approx, with a summerhouse at the end of the pool. There are other shady areas for relaxation as well as lawns for children to play on. Furnishings are excellent and air conditioned throughout. Entrance to the house is from the cobbled drive leading to the hall and the living room and dining room. 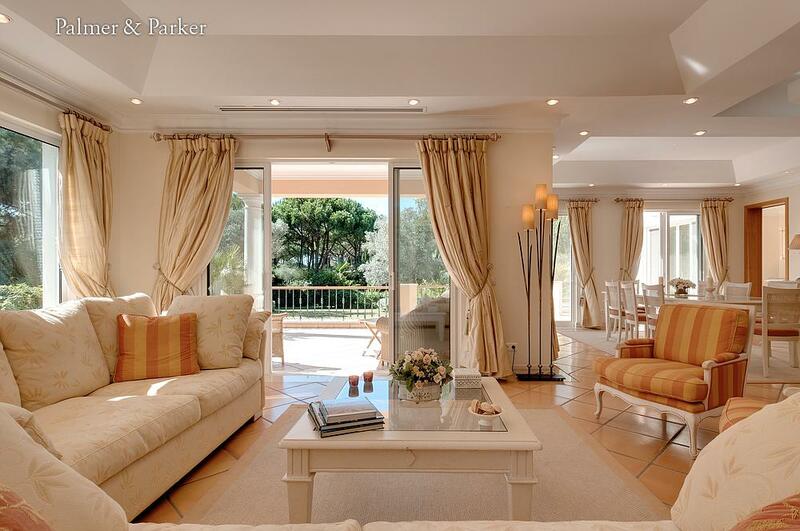 The living and dining areas are open plan. 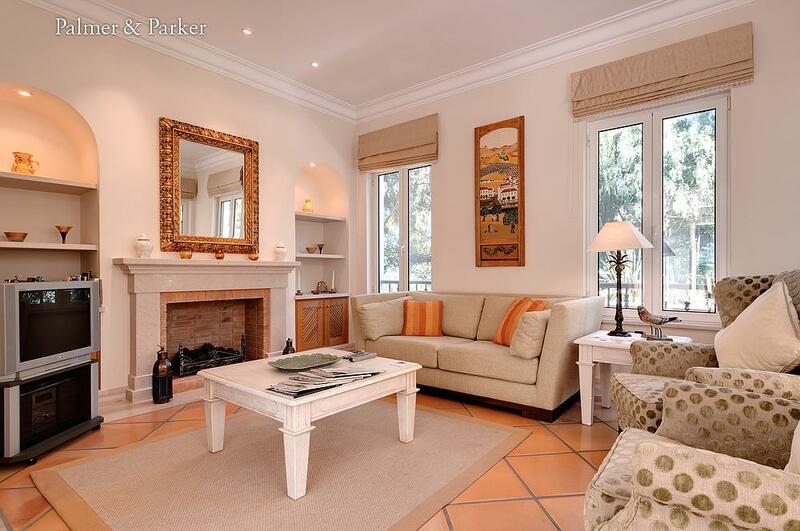 The living room is superbly furnished with three comfortable sofas, armchairs, and windows on three sides providing plenty of light. Part of the room can be closed off with folding glass doors to make a separate TV room with a large TV and access to cable TV giving access to lots of international channels, usually including terrestrial and satellite UK broadcasters. 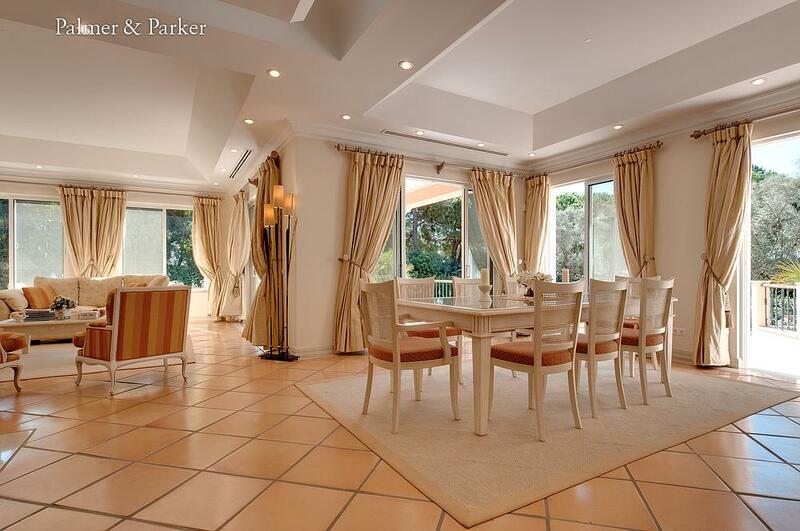 The wood and glass dining table seats 10 for more formal occasions, and sliding doors lead out to the pool terrace and barbecue area where there is a gas barbecue and second dining table, which is also adjacent to the kitchen. The kitchen is new and well equipped with built-in fridge freezer, granite worktops, gas hobs, electric oven and microwave which can act as a second conventional oven, dishwasher, kettle, extractor and two sinks, coffee machine and juicer. 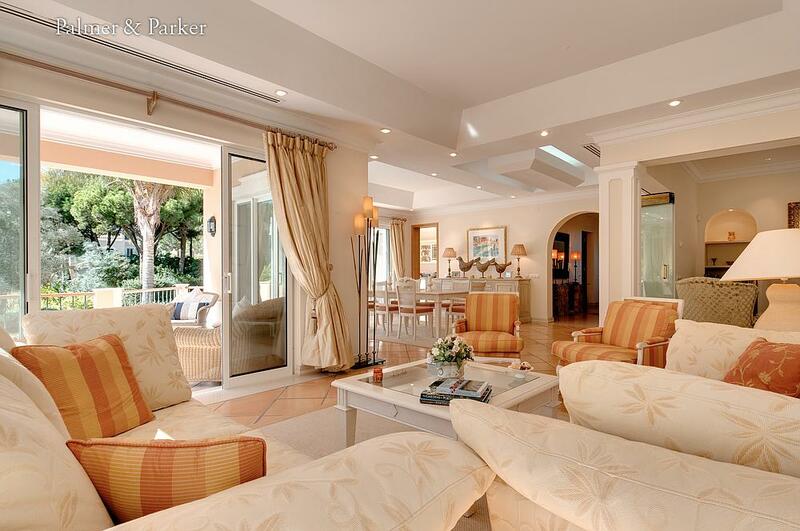 Sliding doors lead out to the dining terrace and pool terrace. There is a separate utility room with washing machine and dryer, and spare fridge. 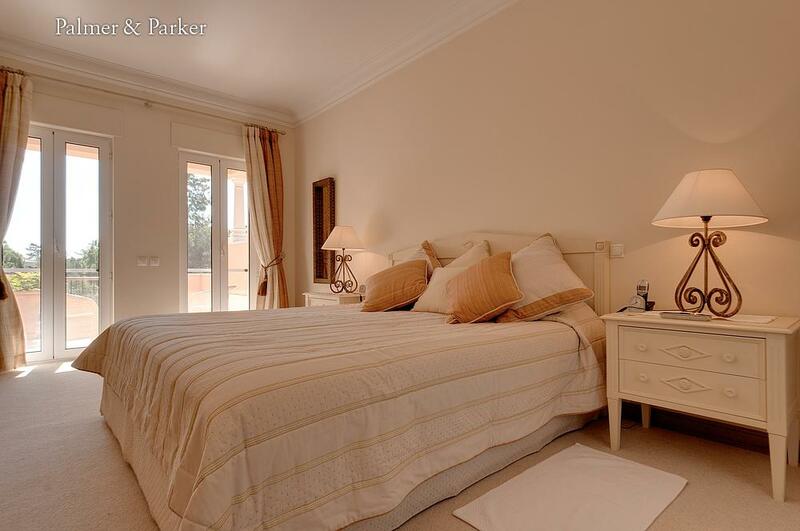 Two ground floor bedrooms are also accessed from the hall: to the left is a double room with en suite shower room. The bed here can also be separated to make it a twin room. The second twin room has two single beds, wardrobe area and en suite bathroom with bath and shower over. 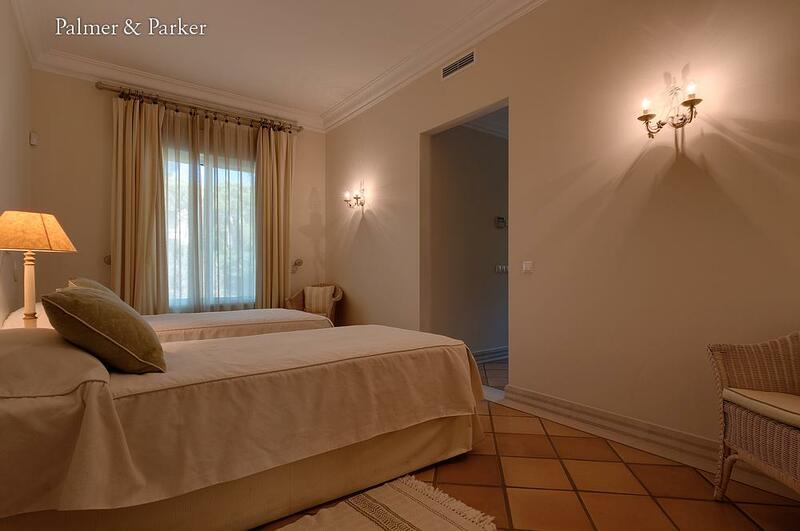 Upstairs are two further good double bedrooms: the master suite is large and has a king size bed, windows on two sides and accesses a private balcony. Its bathroom is en suite with bath and shower with monsoon head. 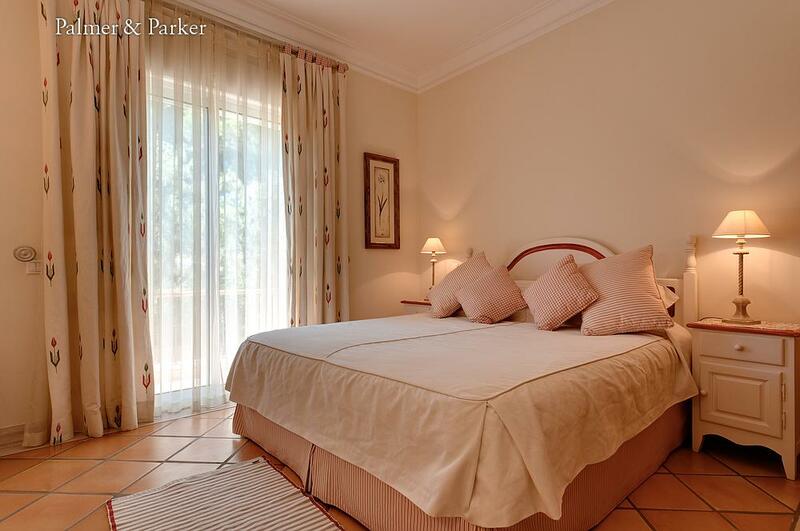 The second bedroom has a queen size bed with windows on two sides: one to the garden and the other to the pool. The en suite bathroom has shower cubicle and bath. 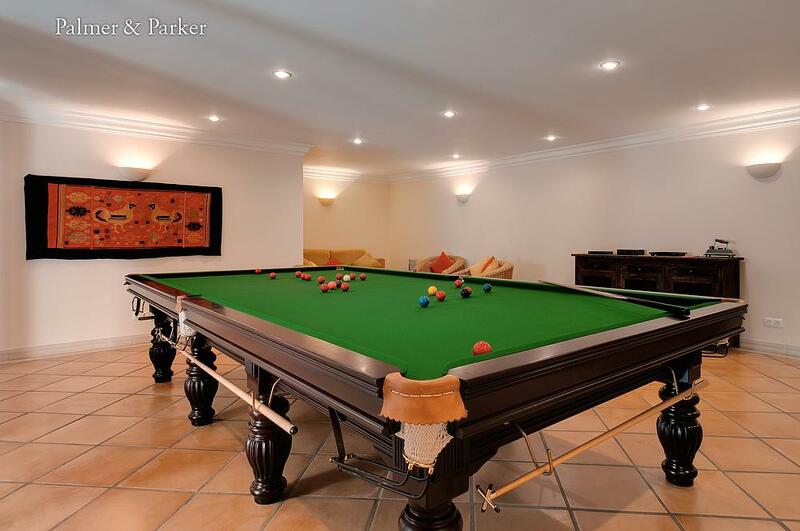 Downstairs from the entrance is the games room has a full-size snooker table and TV area with cable TV. 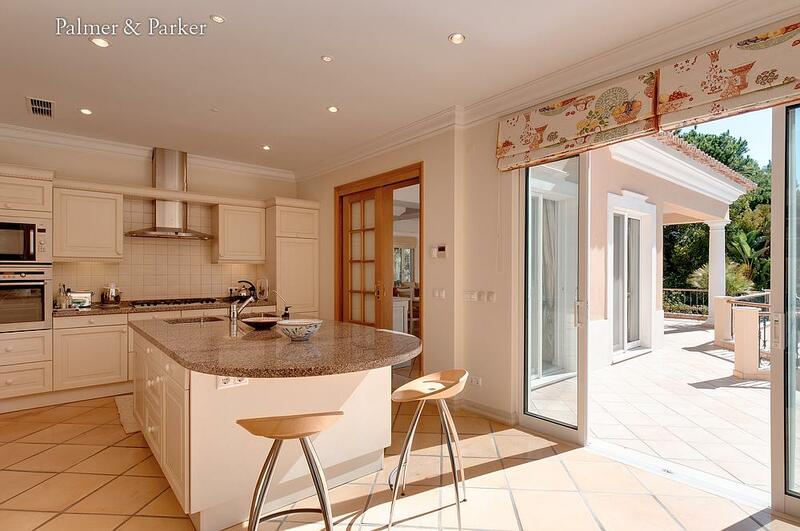 Outside is the dining terrace with gas barbecue and dining table, with steps leading down to the gated pool which is 10m x 5m approximately, with steps in one corner. 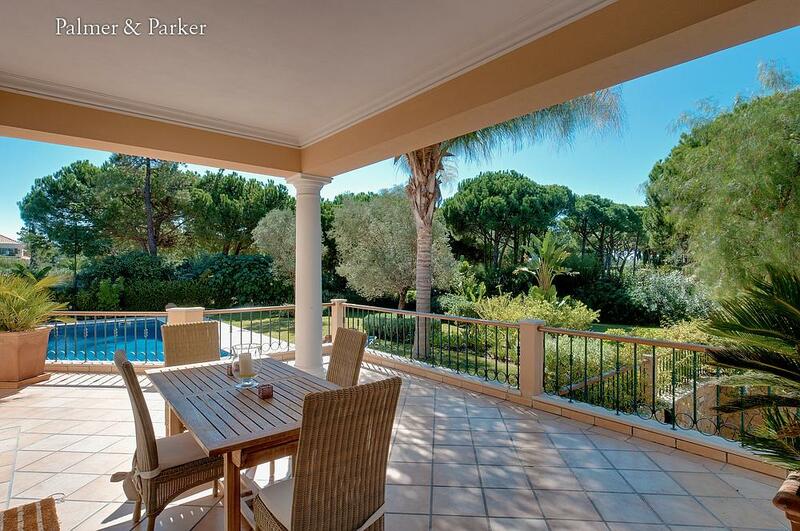 The pool is set into a pleasant garden with nice views of the golf course through the trees, but good privacy.